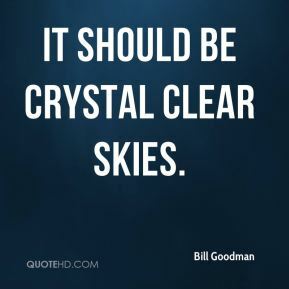 It should be crystal clear skies. 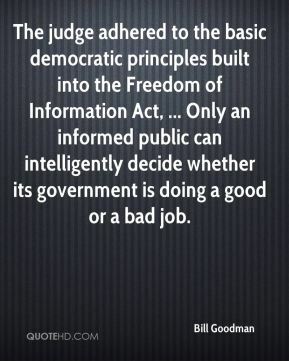 The judge adhered to the basic democratic principles built into the Freedom of Information Act, ... Only an informed public can intelligently decide whether its government is doing a good or a bad job. Glidart and Bartlett are hockey players so they´re used to the competition, ... Crawford is one of the most improved kids on the team. 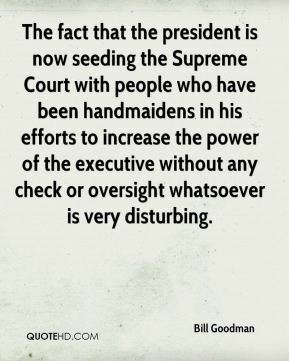 The fact that the president is now seeding the Supreme Court with people who have been handmaidens in his efforts to increase the power of the executive without any check or oversight whatsoever is very disturbing. 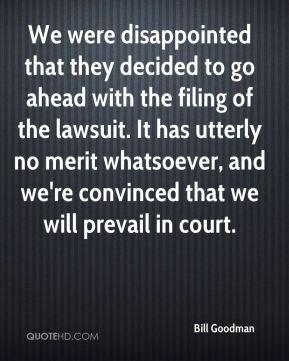 We were disappointed that they decided to go ahead with the filing of the lawsuit. It has utterly no merit whatsoever, and we're convinced that we will prevail in court. 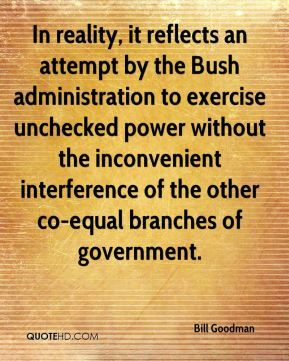 In reality, it reflects an attempt by the Bush administration to exercise unchecked power without the inconvenient interference of the other co-equal branches of government. 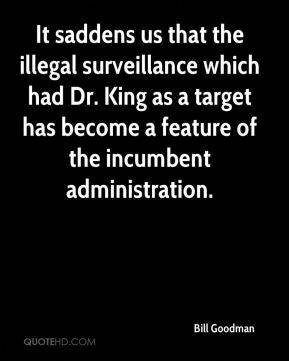 It saddens us that the illegal surveillance which had Dr. King as a target has become a feature of the incumbent administration. 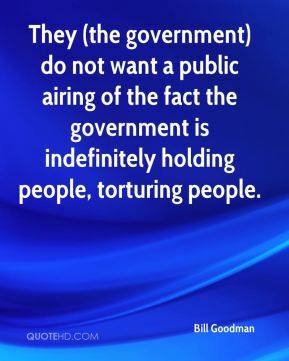 The government is just wrong. 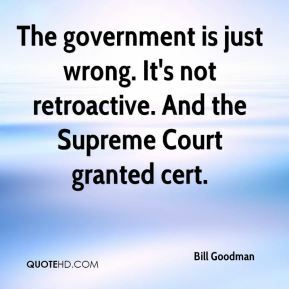 It's not retroactive. 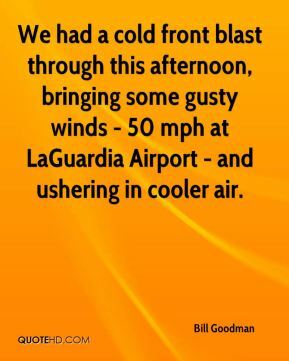 And the Supreme Court granted cert. 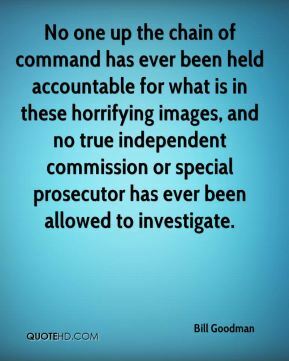 No one up the chain of command has ever been held accountable for what is in these horrifying images, and no true independent commission or special prosecutor has ever been allowed to investigate. 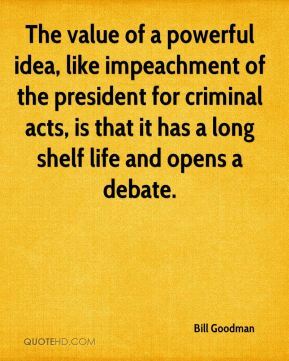 The value of a powerful idea, like impeachment of the president for criminal acts, is that it has a long shelf life and opens a debate. 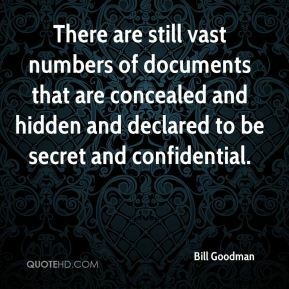 There are still vast numbers of documents that are concealed and hidden and declared to be secret and confidential.